*And don’t forget to check out past Featured Books here. This story brought me back to my teaching days of working to establish a positive and collaborative learning environment, and it brought me back to my student days of wanting to be noticed and praised. This story also tells the tale of so many elementary science experiences of growing your own plant and the excitement that it brings. 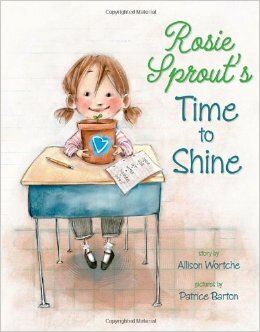 Allison Wortche does a clever job of telling Rosie’s tale while incorporating scientific concepts and skills.